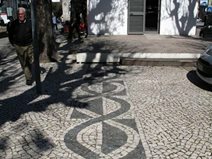 In the concrete business, decorative paving and flooring artisans can be inspired by the work of others. As we take a look at our surroundings, we should ask the question: How could I do that using concrete as a medium? 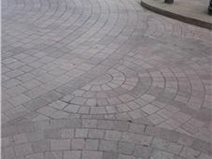 These photos from London, Saudi Arabia, and Malaysia showcase some of the most beautiful architecture and paving work I have ever seen. 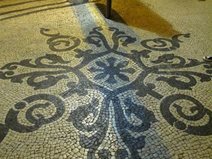 In addition, check out the inspirational photos of surfaces in Morocco, Italy and Portugal courtesy of Melanie Royals from her design blog, DesignAmour. 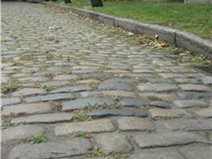 Recently, I spent some time in London while on a work trip and was amazed by all the natural cobblestone paving the crowded side streets of this amazing city. Notice how the stones have been worn down over time. I appreciate their irregularity and natural, low-gloss look. Sometimes in our world of decorative concrete we tend to veer away from how things really look when compared to natural stone. 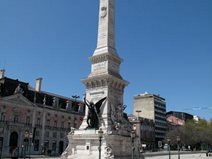 This picture, taken outside the Queen's Castle, show granite stones with a light texture on top. The pattern is reminiscent of the traditional European fan tool we use for imprinting. I found this design to be much more intriguing. 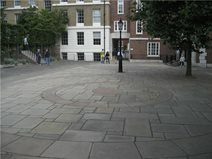 This court outside the Knights Templar Temple is proof of the amazing work that can be done with precast pieces. Notice the subtle color differences in the random pieces. I have started to see similar precast concrete panels making their way into the market. 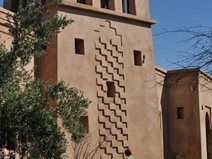 I was taken aback by the craftsmanship and materials used to construct this amazing mosque at the King Abdullah University of Science and Technology. This picture shows some of the exterior tile work I found inspiring. 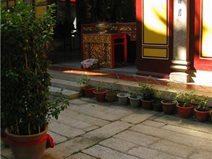 The pavement shown in this picture, with large granite stones set in place and grouted, is quite common in this area of the world. I love the feeling of mass that comes with these large stones. Whoever built these ancient structures wanted them to last. 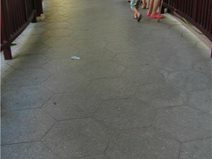 The pavement in this photo reminds me of a light exposed-concrete, sand-wash finish. 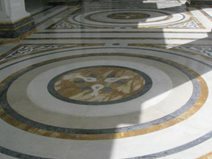 These were tiles set in place using typical tiling techniques. 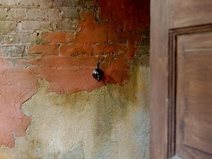 Melanie Royals of Modello Designs has been leading decorative painting trips abroad and capturing many inspirational photos of textures, patterns and designs across the globe.Here are a few photos from her trips. To see more, visit her blog DesignAmour. 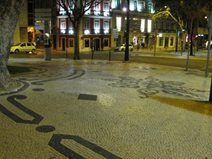 Calcada Portuguesa is the art of combining small chiseled and polished pieces of white limestone and black basalt to create beautiful mosaic patterns on wide sidewalks and in stately piazzas. There are literally MILES of this amazing, hand crafted treatment throughout Portugal, and I wish I had shot photos of every one. 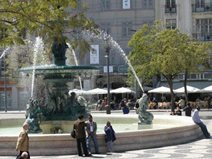 Calcada Portuguesa began in Lisbon in 1849 with a wave design in Rossio Square and soon spread throughout the other major cities of Portugal and even to the colonies.